Why Lease My Roof for Solar? In 2014, almost 6,200 megawatts of solar photovoltaics were installed. In 2015 it is expected to grow by 16 to 25%, making solar the fastest growing source of renewable energy in the US. As solar grows and becomes cheaper than non-renewable energy sources, more and more people will turn to solar as their main form of electricity production. Why wait when you can be a part of the solar revolution today? Clean Footprint is excited to introduce our new Solar Site Lease program for Massachusetts business and commercial property owners! We would like to pay you cash for your unused rooftops or ground area allowing us to provide clean, renewable electricity in your surrounding community while generating a profit for you. This week, we will focus on the Solar Site Lease program for ground area. The Good, the Bad, and the Ideal: Roof, Ground or Lot Mounted Solar? In the commercial solar industry there are three main sites to install a solar photovoltaic (PV) array: on the roof, on the ground, or on a (parking) lot. Each option has upsides and downsides. Every solar project is unique and what works for one company may not work for another. Let’s take a moment to discuss the pros and cons of each installation site so you may find the ideal location for your solar project. How Clean Footprint Answers the Question"Why Go Solar?" As the solar market expands and solar technology improves, there are more and more reasons to go solar. At Clean Footprint, solar is our life and we love it. We are often asked why we support solar energy and everyone’s answers are different but have one common theme: solar is a wonderful option for clean, renewable electricity and will save the client money beginning on day one! 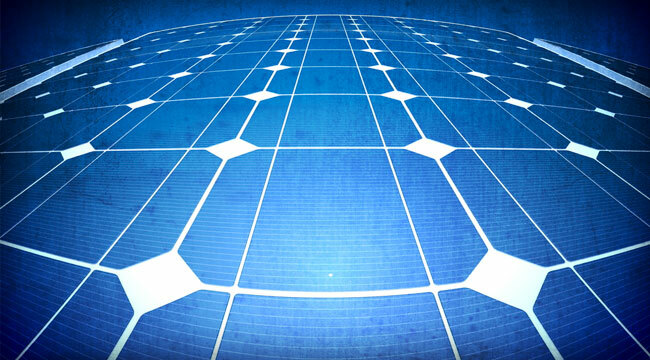 When looking to go solar, many organizations wonder about purchasing their solar array. From afar, the purchase solar financing option looks great; once past the pricey upfront cost, there is high financial reward. Also, organizations can take advantage of the 30% ITC, local and state rebates as well as any available SRECs. As a Florida-based solar company, Clean Footprint dreams of the day when the “Sunshine State” is a leader in solar development. Florida currently ranks 3rd in the US for solar potential, but ranks 13th for installed solar capacity. It seems common sense that a flat, sunny state should be taking full advantage of its abundant solar resources. However, there is more to the story than just warm weather and sunny days. As a relatively new technology, solar photovoltaic has come under fire from people who don’t fully understand it. People insist using solar energy to make electricity is too expensive and will therefore never be successful. However, many of the things you might think about solar are misleading. At Clean Footprint, we believe in the solar revolution and we are here to show you just how beneficial solar can be by clearing up some of the myths about the solar world. Have you ever heard of a company that doesn’t want to save money? Neither have I. Expenses come in many shapes and sizes and all too often there isn’t enough money to cover them all.